According to Chiofaro, the height reductions were provoked by Massport, which oversees the airport and apparently did not feel safe with anything taller than 625 feet near the Logan approach, and thus the reduction. But could it also be that the arch was originally conceived as a folly to make the building look taller than it actually is, only to be cast aside later to assuage the concerns of the community? When we suggested as much, Chiofaro's people demurred. Now we're left with two stepped towers with some sort of retail base—not unlike Chiofaro's first major success, the nearby International Place, designed by Philip Johnson. And now, onto round two, as we wait to hear from the BRA on its Greenway study, which was advocating for something in the 400-foot range at the extreme. Increasingly becoming home to Boston's architectural community, pinkcomma gallery opened its third Fall season on with two exhibitions: Heroic and Publishing Practices. Heroic takes a closer look at the material that re-shaped Boston, concrete, and the idealistic architects that used it from 1957-1976. 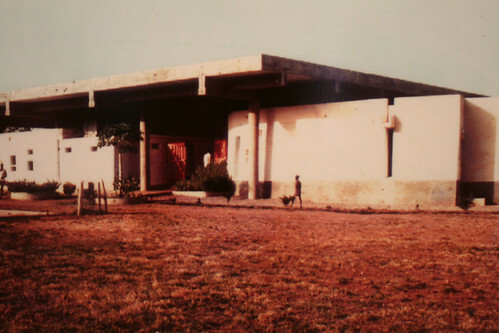 The exhibit consists of a selection of local concrete buildings intertwined with essays by some of the architects who built them, material experts, historians, and voices from a new architectural generation who seek to put this work in context. Heroic, however, boasts a larger and weighty agenda: to educate the public at large on the innovations and ideals of Boston's concrete architectural legacy to save endangered buildings. On pinkcomma's second room Publishing Practices traces a history of practices that use publication as part of the tools available to them to think about and produce built form. Perhaps as interesting are the results of a survey on contemporary attitudes towards publishing conducted by curator Michael Kubo. 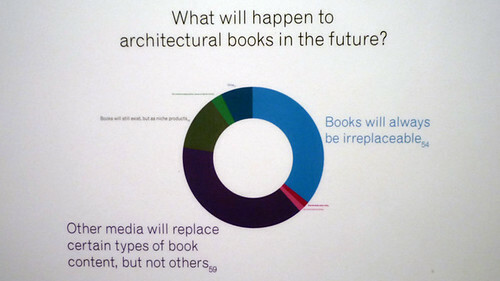 Not surprisingly, Kubo finds that most people get their architectural news from websites and blogs while a great majority of respondents say that the physical book will always have a place in their studios. 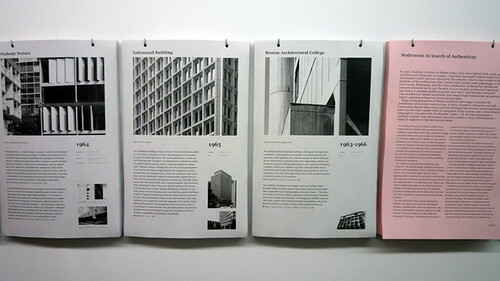 The results begin to show practices more comfortable using digital-physical media hybrids in their publishing projects. During the opening the crowd enjoyed the interactive yet low-tech nature of the exhibit. 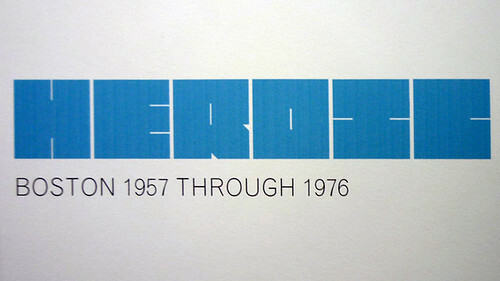 Heroic, for example, consists of over thirty 11" x 17" pieces of paper that the gallery encourages its visitors to collect and asks them to participate by suggesting additions to their growing list of notable concrete buildings. Both shows run through October 15. 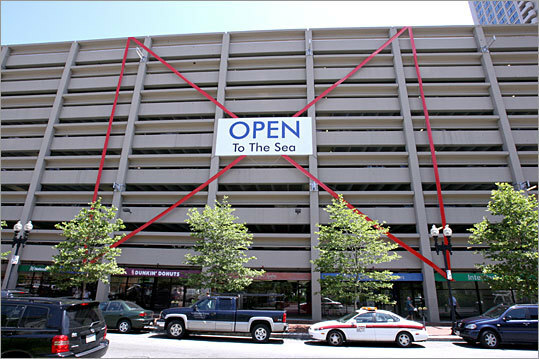 In total, there were 381 letters and postcards submitted in support of the Harbor Garage project, compared with the 252 letters opposed to the project. 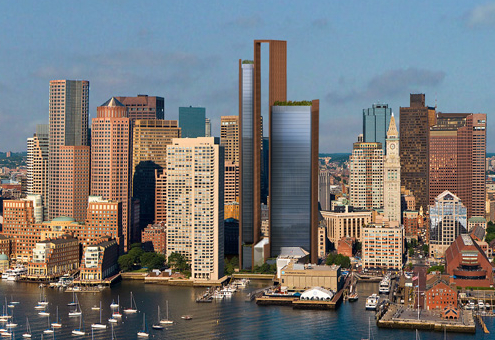 [...] Of the 266 postcards in favor of the 1.5 million square foot mixed-use project, 144 were signed by people who do not live in Boston, according to the BRA. Then again, most of those letter opposing the project came from residents of the neighboring Harbor Towers apartment buildings, who obviously have a stake in the project not going forward. Looks like it's up to the BRA on this one, though if that is any indication, Chiofaro may just be out of luck. It’s not the first time Cupertino, California-based Apple was asked to revamp the design of one of its stores. Three years ago, a Boston architectural commission reviewing the glass façade that Apple proposed for a local store said the design “didn’t have a sense of place” in the neighborhood. Apple amended the design and worked with the Boston Redevelopment Authority to make sure the store--noteworthy for a giant wall of glass--fit in with the area. The Boston shop opened last year. You can see the Boston store here, in The Wall Street Journal's brief account of the Apple Georgetown affair. Just looking at it, the Boston store is a far more modern proposal than its historical cousins in New York. Back in Georgetown, the local board that has so far denied the designs is obviously not opposed to a store being located on the premises. 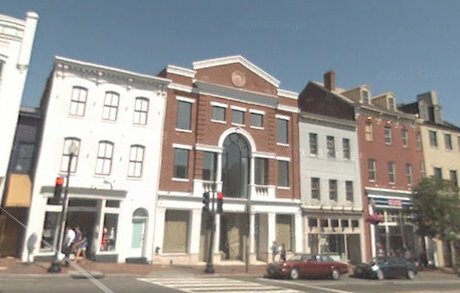 Not only is that section of Wisconsin Avenue essentially an outdoor mall, but the building was previously occupied by a French Connection boutique. The only explanation, then, is the old preservationist saw that the developer and architect have put forward an outlandish proposal they have no intention of actually building so that when the actual design comes up for review, it looks rosy by comparison. Now where have we heard that before?